An evening at the Rambert Event felt like a private viewing of the dancers and of Merce Cunningham’s absorbing choreography. Entering Rambert’s new venue on London’s Southbank a small informal audience gathered in the dance studio; sitting, standing and leaning on the ballet barre we waited in anticipation. While we waited the dancers finished rehearsing, stretching, warming up, chatting. It had a feeling of being backstage with the company, being privy to behind the scenes. And as curtain call drew closer the dancers gathered into a group hug and shared a moment that was shared with the audience. It was so intimate. Jeanine Steele, former Cunningham dancer who has staged the work, warmly greeted the audience, explaining that the performance of selected works would take place over two levels in two studios simultaneously. She explained that the event aimed at preserving Cunningham’s legacy, celebrating the building and enabling the audience to get close and personal with the dancers. It is this closeness that sets this performance apart. As they performed Cunningham’s choreography the dancers were close enough to touch, the rise and fall of their beating hearts and lungs could be seen and felt. Their feet with bunions, blisters and calluses stretched and pointed. It is rare to be so close that you can see each muscle as the dancers’ develop, plie, grand jete. Transitioning between each studio gave a new insight, a different perspective in which to observe, enjoy, indulge. The second studio was smaller, it was less a performance and more a dress rehearsal with intensity, emotion and beauty. The dancers were adorned with painted unitards that created the sense that they were the canvass, creating a transitional narrative as they moved from studio to studio to live musicians set to the side. As the performance ended, the standing ovation received no doubt felt equally up close and personal to the dancers as to the audience. Hypnotic and intimate, a moment the dancers shared, a moment shared with the audience, simply wonderful. 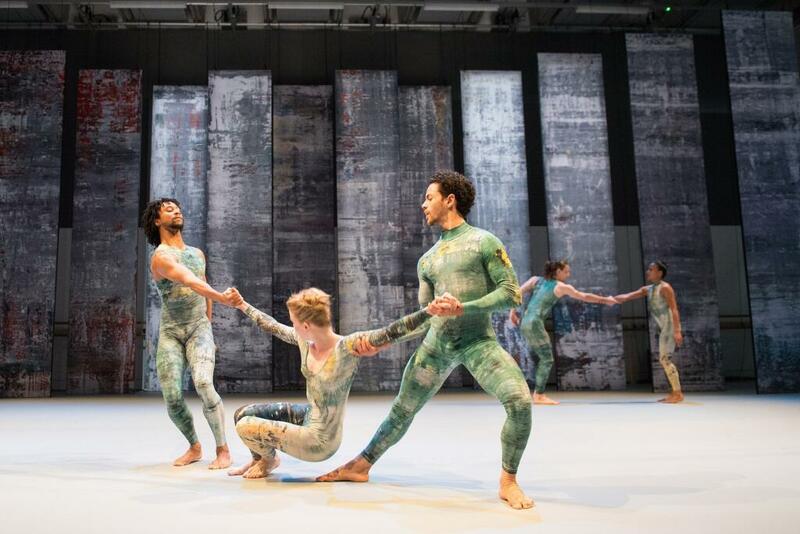 Rambert Event was inspired by the spirit of Merce Cunningham, as well as the choreography. It brings together the world-class collaborators, disparate elements, and ideas of chance, serendipity and play that were central to Cunningham’s work. Together, they form a vibrant, living celebration of the work of the most influential figure in contemporary dance history. In June 1964 in Vienna, Merce Cunningham staged the first of his now legendary “Events”. He would go on to present Events around the world, each combining dance, music and design in a way that was unique to that location, and that performance. They became the great choreographer’s signature works, exemplifying his revolutionary approach to performance-making. 50 years on, and five years after Cunningham’s death, Rambert created a new Event. The dancers performed extracts from ten Cunningham works, dating back to 1953, staged by former Cunningham dancer and rehearsal assistant Jeannie Steele. The Event featured costumes and sets based on artworks by Gerhard Richter – widely acclaimed as the world’s greatest living painter – and new music composed and performed live by Philip Selway from rock band Radiohead, Adem Ilhan and Quinta.